The Rev. Jill Harvey hails from Michigan, but has lived in New England for most of her adult life. She is a graduate of Andover Newton Theological School and has over three decades of church experience, over twenty years as an ordained minister. She has served the American Baptist Churches, USA as a volunteer missionary, traveling to Alaska, Oklahoma, Thailand, and El Salvador, and also served the American Baptist Churches of Connecticut for three years as a volunteer Mission Interpreter. 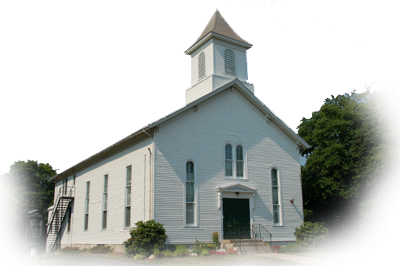 Pastor Jill has led the Niantic Baptist Church since January 1, 2008. She specializes in gospel-based sermons that relate the scriptures to day-to-day living and worship services that celebrate special times within the life of the congregation. Dr. Judith Mack (Dr. Judy) received her Doctor of Musical Arts in Pedagogy from the University of Kentucky at Lexington. For more than forty years she has honed her musicals skills and the skills of others by teaching our Chancel Choir and Chancel Bell Choir to sing and play in harmonious, rhythmic praise to the Lord. Ruth Beals' talents on the electronic keyboard lends richness and variety to our choir anthems and congregational singing. Chris Wyand keeps things in the office running smoothly and helps keep our technology up to date. Ron Lake, who is also the Interim Pastor of the Westchester Congregational Church in Colchester, serves as our "Minister of Maintenance" and keeps our facilities clean and ready for worship and meetings.